Look no further! Come and relax in a friendly, family atmosphere where the entire team will be happy to ensure you have a wonderful stay. Enjoy our warm and welcoming hotel! 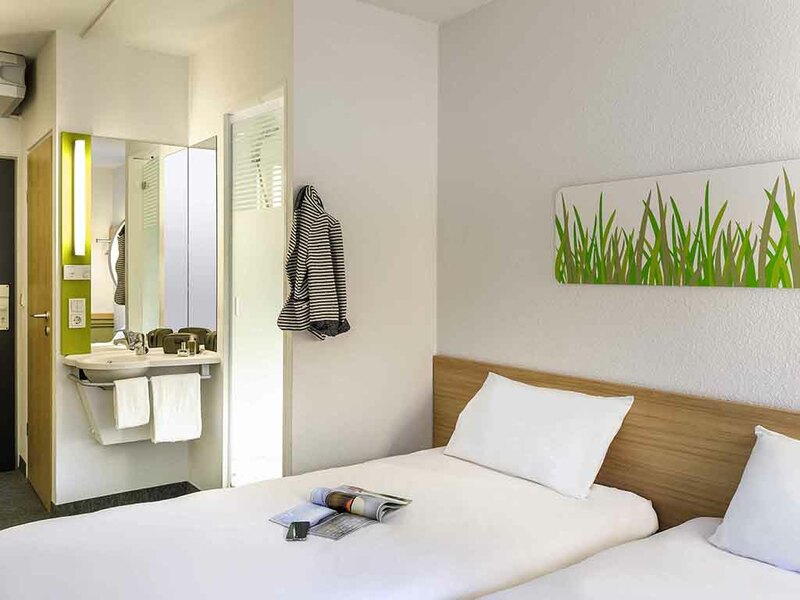 The team at the ibis budget hotel is delighted to welcome you to Roanne, the home of gastronomy! For your stay, choose to sleep in a welcoming, renovated room for 2, 3 or 4 people equipped with a shower, toilet and satellite TV. Sample a gourmet breakfast and relish the on-site restaurant. Enjoy all of this for a budget price! 24-HOUR RECEPTION, AIR-CONDITIONED ROOM, CANAL+ AND BEIN SPORTS.